Adventure World Links, Cheats And Tips Guide: Adventure World: Lucky Dragon Chest - Coming Soon!!! Adventure World: Lucky Dragon Chest - Coming Soon!!! It is coming soon a new feature that will enable you to win free Adventure Cash, Energy, XP and even Free Crew members! 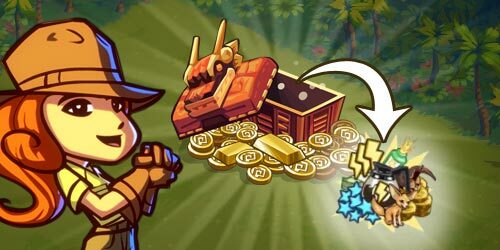 The Lucky Dragon Chest should be placed in the Base Camp, with the possibility to get several reward levels. Probably you will need later to click 1 time per day in the Lucky Dragon Chest and sharing the reward with friends! The information is still few, but updates will be available for you as soon as this feature is released, what should happen very soon, with the Tibet new expeditions. one from wall posts and the other from direct requests: Jade Dragon Trinkets and Lotus Blossoms.